I must admit, I love seeing the attacks on former Vice President Joe Biden. They are deliciously ironic. As I point out often on my radio show and elsewhere, Leftism eats itself. And that’s what’s happening to Biden. The Left establishment put the old man down (like a vet does a dog). And now they feast on his carcass. CNN dredged up some info on Biden that they conveniently overlooked earlier. That’s because Obama ordained Biden “acceptable” when he needed an idiot VP. 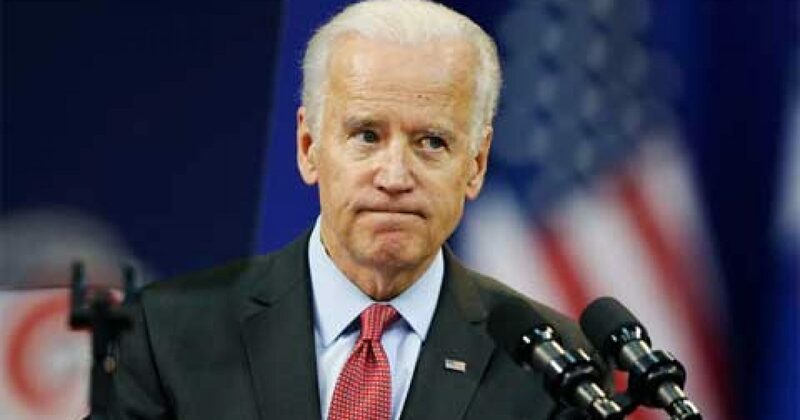 Joe Biden’s road to a third presidential bid has been lined with a series of explanationsand apologies, illustrating the challenges of preparing a long record of public service for fresh scrutiny under the spotlight of the 2020 campaign. Yet he rarely discusses one of the earliest — and most controversial — issues he championed in the Senate: his fight against busing to desegregate schools. It was more than four decades ago as a battle raged across the country — and in Congress — over sending white students to majority-black schools and black students to majority-white schools often far away from their own neighborhoods. Biden forcefully opposed the government’s role in trying to integrate schools, saying he favored desegregation, but believed busing did not achieve equal opportunity. In a series of never-before-published letters from Biden, which were reviewed by CNN, the strength of his opposition to busing comes into sharper focus, particularly how he followed the lead of — and sought support from — some of the Senate’s most fervent segregationists. Does CNN realize that by exposing Biden, they expose the Democrats? Biden offered this bill to gain the favor of Sen. James Eastland. Called the Voice of the South and also the “Godfather of Mississippi Politics”. Those were compliments for Democrats in the time of Eastland. The Southern institution of racial segregation or racial separation was the correct, self-evident truth which arose from the chaos and confusion of the Reconstruction period. Separation promotes racial harmony. It permits each race to follow its own pursuits, and its own civilization. Segregation is not discrimination… Mr. President, it is the law of nature, it is the law of God, that every race has both the right and the duty to perpetuate itself. All free men have the right to associate exclusively with members of their own race, free from governmental interference, if they so desire. “If they so desire”? As in “if Democrats whites so desire”. Biden followed suit, appeasing those who could help Biden further his career. And the truth shall set you free. Biden’s racism uncovered. It seems Biden curried favor with a segregationist who thought of blacks as “an inferior race”. Biden did this in order to further his political career. Frankly, I think busing sucked. The idea of moving kids around because the government couldn’t provide adequate schools for blacks merely put a band-aid on a bullet wound for black education. Busing solved nothing. But at the time when Biden did the bidding of a racist Democrat, that wasn’t the point. They simply didn’t want blacks intermingling with whites. Biden won’t “apologize” his way out of this. The man who called Obama “articulate and clean” is the creepy Uncle Joe the Racist. The bigger question: who’s doing this to Biden? What’s happening to Biden reminds me of former Senator Al Franken. Fellow Senator Kirsten Gillibrand (D-NY) torched Franken. He ultimately resigned in shame. The torpedoing of Joe Biden has Kamala Harris written all over it. First, the creepy Joe Biden women coming forward. All Democrat women. Second, the allegations of racism. Interestingly, both things are true of Biden. Democrats ignored Biden’s misogyny and racism because nobody considered him a viable political foe. However, with such a weak bench, Democrats figure Biden has his best chance ever to gain the Democrat nomination. Another old white man? I don’t think so. You may wonder how Bernie Sanders fares so well. I remind you of the weak Democrat bench, so much so a so-called “Independent” who happens to be a socialist is their front-runner. Trust me. Democrats will derail Sanders at the appropriate time.